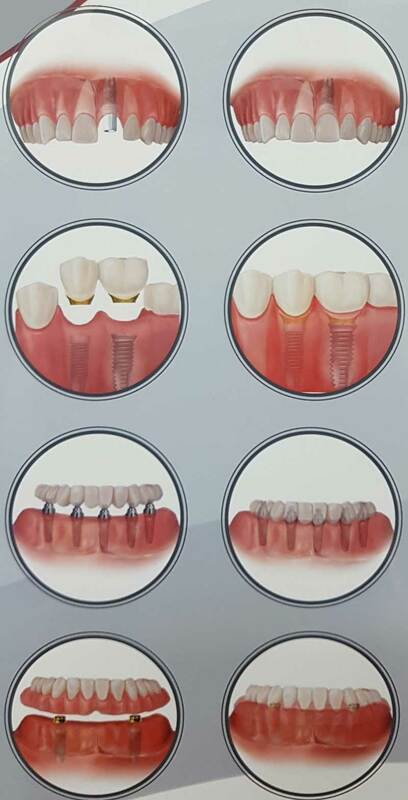 Dental implant acts as the root substitute that is inserted in the jaw bone. 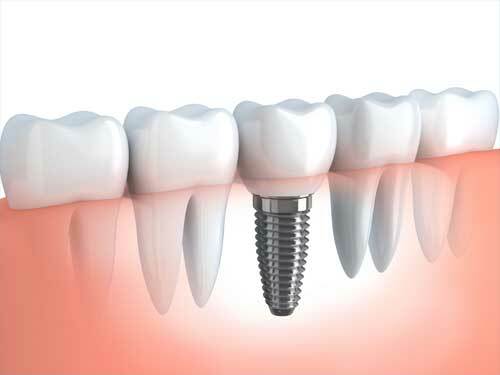 The crown on top is attached to the implant by an abutment which is screwed on top of the implant. Before placing a dental implant it is mandatory to have good gum health and adequate home maintenance. Dental implants are not indicated for patients with active gum disease (periodontitis). First the gum disease need to be treated and stabilised before considering placing implants to replace lost teeth. Dental implants are good value as they can last life time with good home care.